We met Desi and Mario at one of the bridal fairs last year, we instantly connected with them. We had talked about a few different locations for their engagement photos and finally decided on the Rio Grande Bosque near Corrales. We figured it would be a perfect place for a private and romantic evening stroll. We loved all of Desi's outfits and we loved how Mario's shirt complimented hers perfectly. 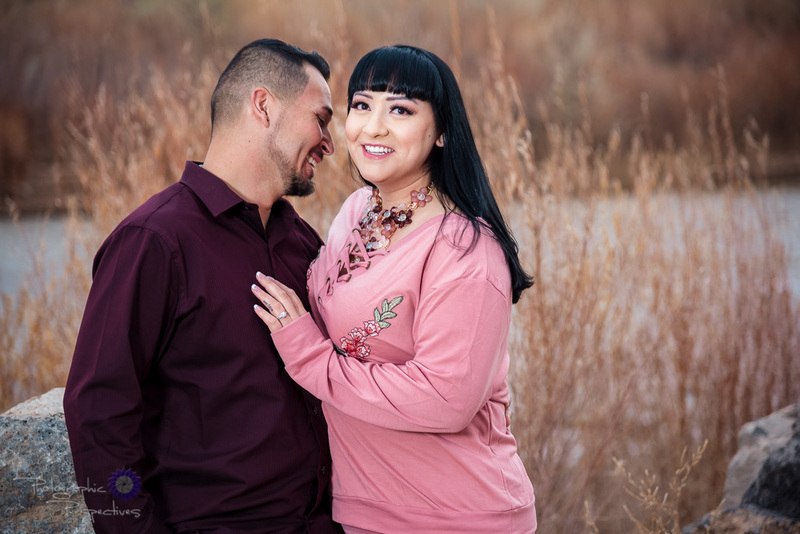 We all had a memorable time taking a stroll down in the bosque, their engagement session was a blast! We can hardly wait for their wedding this Saturday! Stay tuned for pictures from their Hotel ABQ wedding.